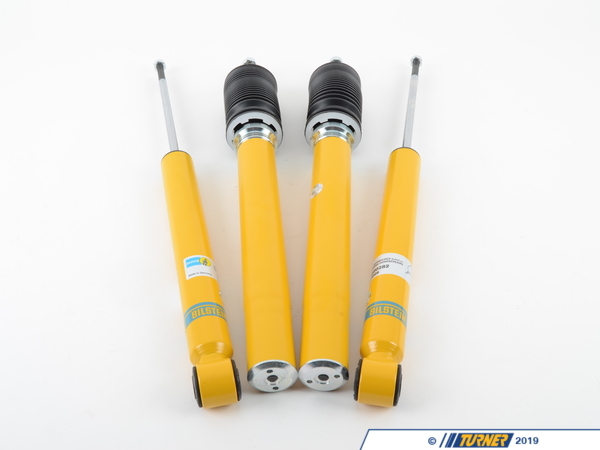 A complete set of Bilstein Heavy Duty shocks for the 325iX (AWD). 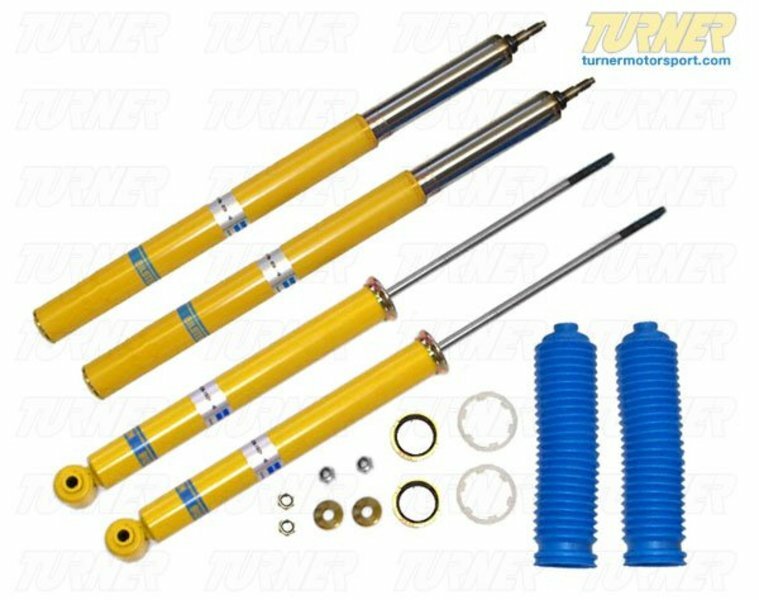 The Bilstein HD is designed for E30 325ix with stock springs. Set includes 2 front strut inserts and 2 rear shocks. Includes top nuts and rear lower shock washer. The stock rear dust boots are re-used. The Bilstein Heavy Duty (HD) Shock is designed for use with stock springs. These shocks provide improved handling and stability without sacrificing ride comfort.